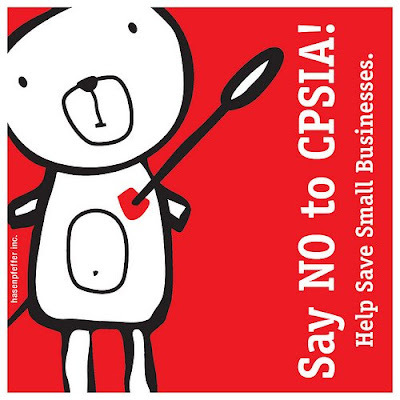 I just came from reading sarah jane's blog with I must say one of the best and most comprehensive posts detailing what is going on with the new CPSIA law. I highly recommend reading it and taking action... making your voice be heard. I will be.